Oklahoma City on Saturday, December 1, 2018! Tickets go on sale at 11:00AM on Friday, September 14, 2108. The Wanderland Tour will have an exclusive fan club and VIP package pre-sale beginning Tuesday, September 11th at 10am local time, ending Thursday September 13th at 10pm local time. A Spotify pre-sale will begin Tuesday, September 11th at 12pm local time, ending Thursday September 13th at 10pm local time (Password: LindseyXMAS2018). Tickets for the general public will go on-sale Friday, September 14th starting at 11am local time. For complete ticket purchase information on all tour dates, visit http://www.lindseystirling.com/tour. Lindsey Stirling is partnering with CID Entertainment once again for a Christmas themed pre-show experience. Three packages are available that include an invitation to Lindsey’s Christmas Workshop and a meet & greet with Lindsey herself. All packages include a premium ticket to the show and exclusive signed merchandise. 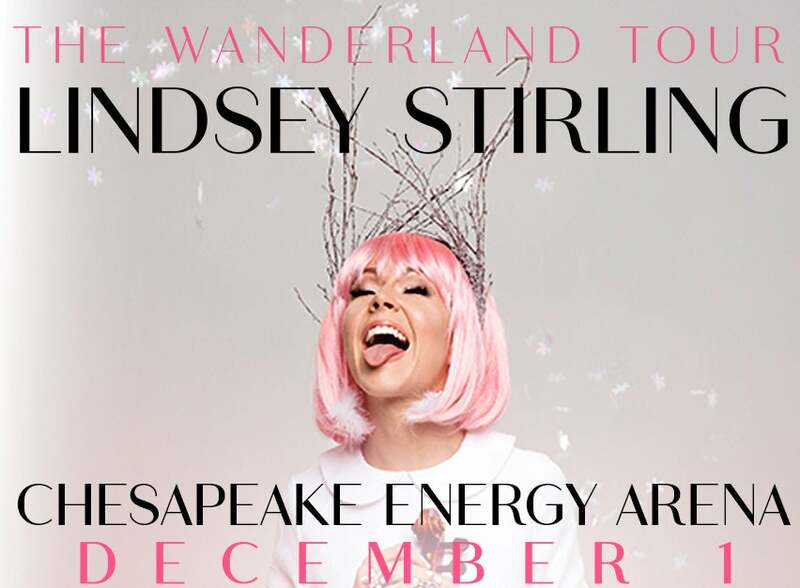 VIP Package details are available at https://www.cidentertainment.com/events/lindsey-stirling-christmas-tour/. Last year, Warmer In The Winter went on to become the best-selling new Christmas album of 2017, outselling pop music heavyweights such as Gwen Stefani and Sia. It was also the best performing holiday album on Pandora with over 40 million spins and had the biggest debut for a holiday release last season. The new Deluxe Edition will feature last year’s renditions of holiday favorites such as “Carol of the Bells,” “Dance of the Sugar Plum Fairy” and “You’re a Mean One, Mr. Grinch” featuring Sabrina Carpenter, as well three holiday originals featuring critically acclaimed and chart topping artists Trombone Shorty, Alex Gaskarth of All Time Low, and Becky G., who Lindsey collaborated with on last year’s hit single, Christmas C'mon. Lindsey Stirling remains fearless enough to always dream big. In the over five years since the release of her 2012 self-titled debut, the electronic music impresario, violinist, dancer, and artist quietly and humbly became one of the 21st century’s most innovative stars by clinging to her groundbreaking vision of cinematic violin-driven electronic music. After bowing at #2 on the Billboard Top 200 and #1 on the Dance/Electronic Album Chart, holding #1 on the Classical Album Chart for 21 consecutive weeks, and receiving a Billboard Music Award for “Top Dance/Electronic Album,” her sophomore opus Shatter Me would not only garner an RIAA Gold certification, but it would rank as the #2 Dance/Electronic Album and #1 Classical Album on Billboard’s 2015 Year-End charts. Attracting over 10 million subscribers and 2 billion-plus views on YouTube, in 2015 Forbes placed Lindsey at #4 on its yearly YouTube artists list, making her the highest-ranked female. Her headline tours would play to a cumulative audience of over 500,000 people worldwide, and her literary debut The Only Pirate at the Party—co-written with her sister Brook S. Passey—became a New York Times Bestseller. Lindsey’s third-studio album Brave Enough, debuted at #5 on Billboard’s Top 200 Album Chart, went on to score the #1 spot on Billboard’s year-end Top Dance/Electronic Album list and earned Stirling a 2017 Billboard Music Award for “Top Dance/Electronic Album”. Last year, Lindsey released her first ever holiday album titled Warmer in the Winter. Featuring classic and original songs, the album went on to become the #1 new Christmas album of 2017, ahead of pop music heavyweights such as Gwen Stefani and Sia. It was also the best-selling new holiday album and the best performing holiday album on Pandora with over 40 million spins. She is re-releasing her top-selling Christmas album this year with a few new songs as well as some Christmas classics. She was also the runner-up on Season 25 of ABC’s hit show “Dancing with the Stars” with her partner Mark Ballas. A motivational speaker in her spare time, Stirling uses her own story to show teenagers that you’ve got to have confidence in the very thing that makes you unique – then wait for the world to catch up.